It Seems Lyoto Machida Moves To 205 To Meet The Former UFC Contender Chael Sonnen! Lyoto Machida is a former UFC 205-pound champion. “The Dragon” moved to Middleweight division after his unanimous decision loss to Phil Davis on August 3, 2013. But it seems Machida returns to Light Heavyweight class! 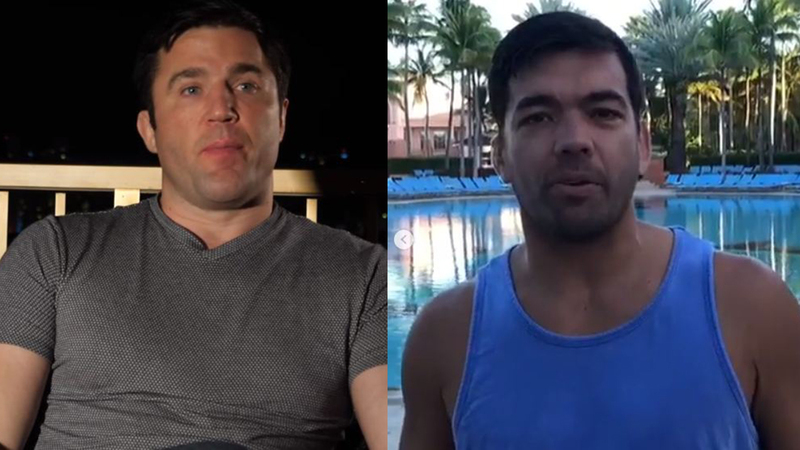 According to Ariel Helwani from ESPN, Bellator MMA is working to finalize the Light Heavyweight fight between Lyoto Machida and Chael Sonnen, but the date and location are unknown at the moment. Yet, sources claim both fighters verbally agreed for the match. Lyoto Machida (25-8 MMA, 1-0 BMMA) is on a hot streak with three wins in a row. “The Dragon” had a hard time versus Eryk Anders at UFC Fight Night 125, on February 3, 2018, where he earned a close split decision win. Then Machida KOd Vitor Belfort at UFC 224 on May 12, 2018, via spectacular front kick to the face! In his last fight, Lyoto earned a tight victory over the former 185-pound champ Rafael Carvalho after three tremendous rounds. Chael Sonnen (31-16, 1 NC MMA, 2-2 BMMA) had ups and downs in the last three battles. “The American Gangsta” secured unanimous decision wins over Wanderlei Silva at Bellator 180, on June 24, 2017, and Rampage Jackson at Bellator 192, on January 20, 2018. But in his last fight, Sonnen was TKOd by the former PRIDE Russian superstar Fedor Emelianenko at Bellator 208, on October 13, 2018. Chael Sonnen is an excellent wrestler. Lyoto Machida is one of the greatest Karate fighters in the history of mixed martial arts, known for unorthodox strikes. This would be a typical grappler vs striker match. What do you think, who will win if this match between the two former UFC veterans comes to fruition? Highlights: Lyoto Machida Defeats Rafael Carvalho Via Split Decision! Fedor Emelianenko Demolishes Chael Sonnen Via First-Round TKO! Finally the former MW champ of the world vs the former LHW champ.